When I started my Instagram account in May of 2015, I had no idea what I was getting myself into. Mainly, I knew I wanted to share my passion for interior design and decorating. Beyond that, I had not given it much consideration. Fast forward to today, with over 90,000 followers, I have learned a few things I thought I would share with you. More than anything, be true to your account and define what you are going to post about and stick with it. I would recommend a personal account if you want to share the social aspects of your life with friends. I have one of those as well. 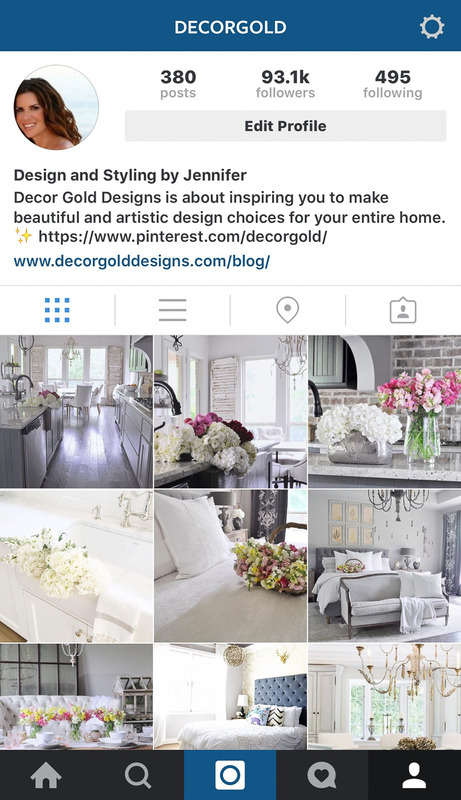 But, I created Decor Gold Designs (@decorgold) for the sole purpose of sharing my passion for interior design. I rarely post a photo of myself and I have yet to post anything unrelated to interior decorating. I’m not saying posting about your personal and social life is taboo. Truth be told, I actually enjoy seeing photos of the friends I’ve made on Instagram. That being said, I’ve heard from multiple sources with large account followings that claim they lose followers when they choose to post on a personal level. However, if your intention is to include yourself or your family in your decor photos, that’s going to be ok as long as you do it tastefully. Be sure and stick to the foundation you set and most importantly, be true to your style. For photography tips, my friend, Kelley wrote a helpful article. You can find it here. Your iPhone or Droid certainly has its uses for your daily interactions. However, posting quality photos on Instagram is not one of them. I learned this the hard way. This is the time to use an appropriate camera if you have one. This is also the time to work on your photography skills. Be sure and edit your photos as needed. Bright photos with higher contrast typically draw larger audiences compared to others. This is a social interaction site. I highly recommend that you find others on Instagram you like and follow them. You want to “like” and make comments on their photos. Be genuine and kind. Go into details about what you like if you want to stand out. 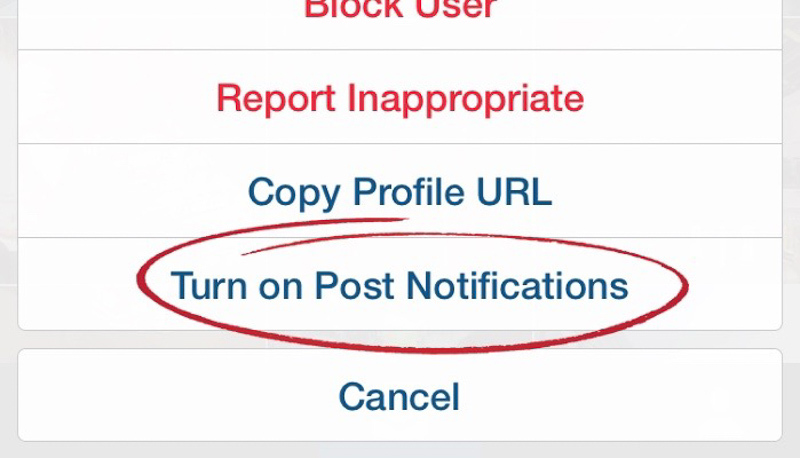 Remember, Instagram only displays the last 100 notifications, so the larger accounts may not see every comment you post. Be sure and comment on recent photos and comment often if it is someone you really like. Keep track of the accounts you are drawn to. As Instagram makes changes in their algorithm, you may see them less frequently on your news feeds. Therefore, I recommend you go to their wall to see the latest and newest posts. Additionally, if you don’t want to miss anything from your favorite accounts, simply turn on notifications. As you venture into the Instagram world it is important that you set the proper expectations not only for your followers, but yourself. You do not need to post five times per day right out of the gate. The pace will be difficult to maintain as your account gains followers and interactions. However, you should publish at least one post per day. As your account grows and you become aware of what your followers love, try to post twice a day. Be sure to only increase your posts if the content and quality of what you are posting remains high. This is such a simple part of this platform. Being nice is a choice and the more you choose to go down this route, the better off your account will be for it. Always try to interact with your followers and show your appreciation for them. Try to respond to all comments on your posts and definitely respond to all questions. Remember, your followers could be anywhere online. They are choosing to be on your site, interacting with you. Be grateful, be nice and always be genuine. Your account will respond in kind. Instagram allows 30 hashtags per post. I typically try to use as many as I can. You can find them by looking through similar accounts to see what it trending with them. Each hashtag gives your content an additional chance to be searchable. Hashtags function as the search engine for Instagram. They allow your followers to search for specific content that is interesting to them. I cannot stress enough how important this component of your account will be. They can literally dictate who does and does not see your posts. 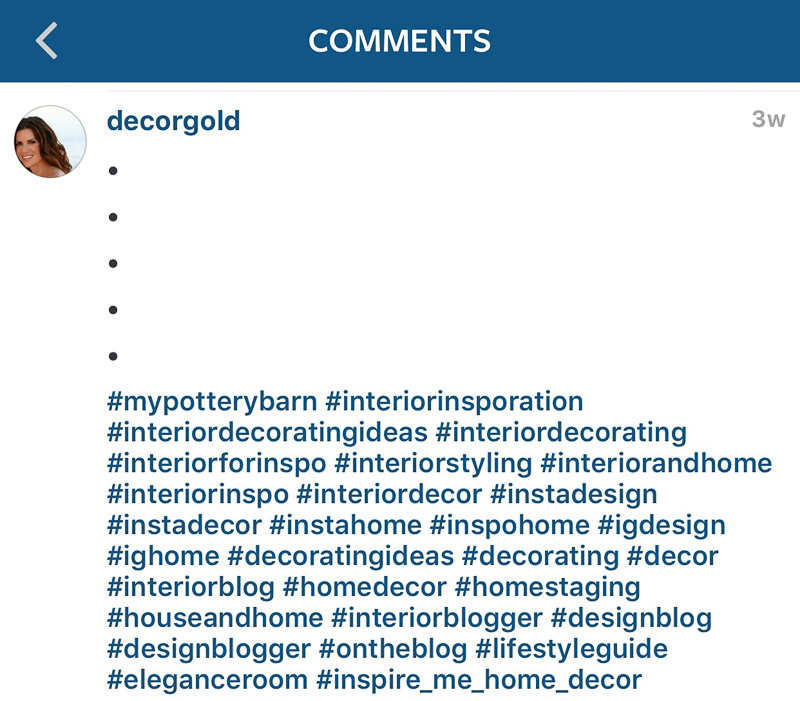 My friend Randi wrote about the importance of hashtags on her blog, Randi Garrett Design. Here, you want to find challenges that fit within your style. I host one called #BrightWhiteWednesday with four other Instagram friends. Every Wednesday, we ask our followers to post an image of their white decor and we select our favorite photo to be featured on all of our feeds that following Friday. By entering, not only will you have the opportunity to being featured by each of the hosts, you could also gain followers who happen to be looking through the hashtag for inspiration. You can find the photo equipment I use below. Some affiliate links were used. Jen, You have a kind and generous heart! Thank you for sharing your tips!! One question, do you shoot your photos in automatic mode or manual mode and adjust your own aperture and ISO? I’ve been struggling to get the manual settings right and the automatic often triggers the flash which I don’t like, so then I’m editing to put a lot of light in. Do you use your studio lights often? I have some but find it time consuming to set up for every shot. Also, what editing program do you use? Oops, I guess that was quite a few questions!! Thanks so much for sharing!! So generous of you to share these insights. Can’t wait to implement! Erin, you are so kind! Thank you so much! You have been one of my absolute favorites on Instagram since the day I found you and I feel the exact same about you! Jen I loved this post! Your instagram and blog are so packed with inspiration. You are the sweetest person, and I am so lucky to call you my friend. Thank you so much! I feel the exact same about you and your amazing blog and IG! Thanks for teaming up with me on this! Great post!! Love your blog and your IG is one of my favorites!!! Marci, you are so sweet!!! The feeling is mutual! This was such a great post! Thanks for the tips! You’re a true inspiration!!! It’s so refreshing to see your work!!!! Thank you for all the informative and helpful tips!!!! Thank you Melissa! I am so glad you found some things you enjoy here! Thank you for writing such a great informative article! This is very helpful to all of us newbies! Lol! I’m so glad you liked it! Thanks so much for stopping by!